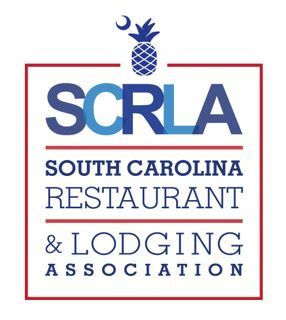 On March 2nd, 2018, members of the Business Workforce Coalition along with the South Carolina Restaurant and Lodging Association Hilton Head Island Chapter and Hilton Head Island-Bluffton Chamber of Commerce, hosted a private dinner at the Wexford Plantation Clubhouse for roughly 80 members. The goal of the dinner was to inform the residents of the workforce shortage facing Hilton Head Island and Bluffton and the impacts on the quality of life of our local residents. We sought to inform the guests of the challenges and opportunities facing affordable workforce housing and transportation development and to enlist their support of the forthcoming solutions in the public forum that the Business Workforce Coalition is advancing. The dinner included 4 short speeches from community leaders and coalition members followed by a member of our delegation leading smaller casual discussions throughout dinner at each table. Chefs from member restaurants of the SCRLA joined with the Wexford Chef in and his team in donating their time to prepare the meals and various sponsors supported the food donations needed to make this event a free event for our audience. The feedback during the event and in the post survey wrap up from the attendees was overwhelmingly positive and identified their support for implementation of sustainable solutions to ensure an adequate and trained workforce to maintain the quality of life in our region. The event on March 2nd successfully demonstrated a model of community action that we intend to pursue throughout communities on both Hilton Head Island and Bluffton. To ensure the message and dialogue extends to all areas of Southern Beaufort County we are seeking financial support from businesses and organizations to assist us in funding future dinners throughout 2018. Your consideration of support in either financial or food donations for our member chefs to work with would be greatly appreciated. Each dinner requires $1,000 of food to host a group of 100. Additionally $500 of wages are required to hire the service staff who sets up, serves and cleans up after the event. All time of coalition members and business leaders is provided at no cost and the services of club managers and chefs to assist with hosting and organizing is also provided at no charge. Our goal is to host a total of 10 events before the end of 2018. We appreciate your consideration of support towards our goal of $15,000 to fund these events and stand ready to answer any questions you have about the opportunity.